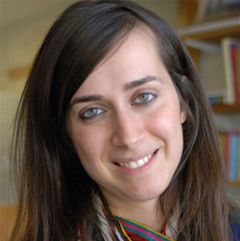 Fotini Christia is assistant professor of political science and member of the Security Studies Program at MIT. IN THE YEARS SINCE the ousting of the Taliban, we have seen scores of lives, military and civilian, lost in Afghanistan. The internecine relationships between the warring actors have made the logic of the fighting hard to make sense of—so much so that it has prompted the United States to revise its counterinsurgency doctrine, shifting the strategic focus from killing the enemy to protecting the population. In that vein, the United States has sent anthropologists into the field to lead American soldiers and commanders through the maze of Afghanistan's ethnic and tribal politics. This book argues that although the importance of cultural awareness can never be overestimated, no knowledge of history and culture alone, regardless of how deep or profound, will get us to understand why warring actors fight with or against one another. Alliance Formation in Civil Wars, by Fotini Christia. The excerpt was reprinted with permission from Cambridge University Press. Rather, we are arguably going to be just as well off going with one rule alone: the expectation that warring groups will aim to side with the winner, so long as they can have a credible guarantee that the winner will not strip them of power once victory is accomplished. Afghan commanders, not unlike other wartime commanders in similar circumstances, are the guardians of specific interests linked to the groups from which their men are recruited. And few factors have motivated them more over the years of war than the desire to end up on the winning side. They have often switched camps mid-conflict. In doing so, their rationale was obvious: In a war that drags on, changing camps means surviving longer and holding onto power. Indeed, Afghanistan's recent history is replete with examples of warring leaders choosing to switch sides. In the civil war that lasted from the collapse of the Soviet-backed regime in 1992 to the Taliban's capture of almost 90 percent of Afghanistan in the fall of 1998, the heads of mujahedin groups constantly shifted their allegiances. The Uzbek general Abdul Rashid Dostum was the Tajik commander Ahmad Shah Massoud's friend first, and then his foe. The Hazara leader Abdul Ali Mazari fought against the Pashtun headman Gulbuddin Hekmatyar before fighting by his side. Constantly shifting alliances meant no single group could gain the upper hand, eventually allowing the Taliban to persuade many factions to side with them. By the time the Taliban reached Kabul, their ranks were teeming with fighters once allied with someone else. This book explains the choices behind the double-crossings in the Afghan civil war and develops a broader theory on alliance formation and group fractionalization in multiparty civil wars. It shows that changing sides, realigning, flipping—whatever one may choose to call it—is not just the Afghan way of war. Rather, the theory travels well across warring times and regions in Afghanistan, and also outside it. Indeed, apart from Afghanistan, some of the most brutal and long-lasting civil wars of our times—Bosnia, Lebanon, and Iraq, among others—are associated with the rapid formation and disintegration of alliances among warring groups, as well as with fractionalization within them. The resulting multiplicity of actors has paralyzed outsiders, who have often been unable to even follow the unraveling of the conflicts' complex trajectories. It would be natural to suppose that the way in which warring groups align and the determinants that shape their internal splits and takeovers result from similarities and differences of identity within and between these warring groups. For example, in a multiparty war of Christians versus Muslims (i.e., Bosnia or Lebanon), we might expect the Christian groups to always ally with one another. In reality, however, this is not what we see. Instead, there appears to be no such thing as an impossible alliance in the context of a multiparty civil war: Two groups that identify themselves as bitter foes one day, on the basis of some identity cleavage, might be allies the next day, and vice versa. Nor is any group, however homogeneous, safe from internal fractionalization. Rather, I find that the relative power distribution between and within the various warring groups in a given conflict is the primary driving force behind alliance formation, alliance changes, as well as group splits and takeovers. In this book, I argue that alliance formation is tactical, motivated by a concern with victory and the maximization of wartime returns as anticipated in the political power sharing of the postconflict state. In principle, all groups want to be in a coalition large enough to attain victory while small enough to ensure maximum political payoffs. In practice, however, given the multitude of players and the chaos inherent in civil war, this outcome proves difficult to secure. A major reason for this is that commitment problems—the inability of actors to credibly commit not to exploit one another later —are inherent in warring group interactions. More specifically, while much of the literature has focused on commitment problems as a barrier to rebel groups reaching negotiated settlements with the state, commitment problems will also make groups wary of winning the war as a weaker alliance partner. Because there is no third party that can credibly enforce the agreed-on division of political control, the weaker party will often prefer to defect and prolong the war rather than risk being double-crossed at the hands of the stronger ally upon the war's conclusion, which may involve violent purges and political subordination. The implication of this dilemma is that unless one group is powerful enough to win the war on its own, the conflict will degenerate into a process of constant defection, alliance reconfiguration, and group fractionalization, as groups maneuver in an effort to win the war while ensuring they do not get victimized at the hands of the strongest actor left standing. Contrary to identity-based arguments, race, language, religion, or ideology do not appear to guarantee in any enduring way the formation of alliances. Instead, elites of the warring parties pick their allies based on power considerations and then construct justifying narratives, looking to their identity repertoires for characteristics shared with their allies and not shared with their foes. Likewise, local elites can make a similarly instrumental use of identity narratives when justifying whether or not to stay subservient to their group's leadership. This argument, which is consistent with a large body of research in comparative politics that shows elites strategically manipulate identity categories for political purposes, nonetheless suggests that identity attributes do have psychological and emotional import for the rank and file—hence the reason elites constantly invoke them. In other words, while identity factors do not determine alliance choices, the fact that leaders feel compelled to justify their choices in these terms implies identity narratives are useful for public consumption. My view is essentially an instrumentalist one: Wartime alliances, and the groups that comprise them, are not merely imagined but rather constantly reimagined communities. Given that there is nothing intrinsic about these alliances, the identity narratives that appear on the surface to hold them together are simply "invented traditions" developed by elites. When power considerations call for it, these communities and traditions will be cast aside and new ones imagined in their place. More specifically, the argument of this book is that alliance formation takes place through two mechanisms, both of which rely on relative power rather than identity as the key explanatory variable. The first mechanism is the evolution of the relative power balance between groups. As groups lose battles or come out of them victorious, other groups are confronted with survival choices on whether to flock to them or abandon them. In making these choices, leaders consider their relative power both within and across alliances: While they desire to be on the winning side, commitment problems make them wary of winning the war as a weaker alliance partner. Such alliance changes occur more frequently in conflicts where relative power is more or less balanced between the various warring groups, because in these conflicts small changes in a single group's relative power can significantly alter the incentives of other groups to align with it or against it. Conversely, in conflicts where power is unevenly distributed, small shifts in the power distribution are unlikely to spur such alliance changes. The implication of this logic is that we should expect to see more alliance changes in multiparty civil wars in which there is a rough balance of power, as opposed to those conflicts in which power is unevenly distributed. In other words, conflicts involving a strong government force (i.e., Guatemala) should see less volatility in alliances than conflicts involving a weak government (i.e., Lebanon). A second mechanism that drives alliance choice is warring group fractionalization. The uncertainty and complexity of intergroup relations in multiparty civil wars are to a certain extent mirrored at the level of intragroup relations, between the various subgroups that comprise these groups. These subgroups tend to be led by local elites—a critical unit of analysis in this book—and differ from each other along regional lines; they may also have leadership disputes between them that predate the war. Critically, these subgroups exist and are identifiable prior to the onset of war: They are not endogenous products of the conflict. Bonds between subgroups are stronger than bonds between allied warring groups because of a combination of increased trust, in-group bias, and institutionalized sanctioning and enforcement mechanisms. However, even the bonds between subgroups with the same identity repertoires are not immune to fractures when subgroup survival is threatened. In this context, battlefield wins will foster intragroup cohesion by convincing local elites that they are on the winning side. On the other hand, battlefield losses, which are typically borne unevenly between the various subgroups, will shake the confidence of these local elites and will frequently encourage fractionalization along the preexisting regional or leadership cleavages. Fractionalization, in turn, is a form of relative power change, regardless of whether (1) a splinter faction joins up with an opposing group (increasing that group's power at the expense of the group it left), (2) a splinter group strikes out on its own (breaking the overall power distribution into smaller units), or (3) a group is taken over by a dissatisfied faction (decreasing that group's relative power as the turmoil rages). The resulting change in the intergroup distribution of power will spur alliance shifts, as groups seek to form updated, optimally sized coalitions. In the empirical portion of the book, I start with the Machiavellian in-group and out- group politics of the 1992–1998 intra-mujahedin war in Afghanistan. Drawing on interviews with warlords and mujahedin and on wartime primary sources that range from fatwas and religious decrees to Guantanamo Bay testimony, along with data on territorial control that capture relative power among warring parties, this chapter shows how considerations of relative power drove group alliance choices and fractionalization, as well as the creation of narratives, that unraveled in the context of this war. I then test the resonance of the power argument through a discussion of alliance politics and group fractionalization during the 1978–1989 Afghan Jihad of mujahedin against communists, and find similar dynamics. The external validity of the theory is reinforced by ascertaining whether the proposed framework only applies to warring groups or whether it holds at a more micro level of analysis: the local commander. A unique dataset on Afghan strongmen across Afghanistan's ideological and ethnic civil wars was collected and coded for this test, which shows that the behavior of local commanders tends to converge with the warring group-level predictions of the theory. I then seek to show that the proposed power-driven theory of alliance formation and change is relevant not only to the specificities of Afghanistan. In that regard, the book takes us to a very different type of multiparty civil war in 1992–1995 Bosnia and Herzegovina, with only three groups and one main identity cleavage (religion). Drawing on interviews with former military and political elites as well as convicted war criminals, primary sources ranging from local news sources to wartime ceasefire and alliance agreements, fatwas and religious decrees, and municipal-level demographic data and data on territorial control, it illustrates that relative power determines the byzantine alliance choices and fractionalization patterns of that war, as in Afghanistan. The book then turns to the Bosnia of the past. Through the use of archival sources from all warring sides, this chapter shows that in the arguably ideological civil war of World War II Bosnia, much as in the Afghan Jihad of mujahedin against communists in the late 1970s and 1980s, the proposed theoretical mechanisms on warring group alliance politics and group fractionalization hold. These dynamics thus do not appear to be conditional on the character of war (ethnic or nonethnic). Finally, I test the generality of the argument further by looking at other specific cases as well as the whole universe of cases of multiparty civil wars. Specifically, the validity of the theoretical framework is further probed, over time and space, through the use of an original fifty-three-case dataset of multiparty civil wars. I run a battery of statistical tests on this dataset that prove consistent with the proposed theoretical framework. The book's concluding chapter offers a short overview of alliance and fractionalization dynamics in the infamous civil war cases of present-day Afghanistan and Anbar in Iraq, again finding support for the theoretical argument. What do the findings in this book mean for policy makers? In short, despite intuitive arguments to the contrary, policy makers should not be looking to race, language, or religion to predict or preclude civil war allies. As the case of Bosnia indicates, Christians can align with Muslims at one point in the conflict and be their enemies at another. Similarly, in Afghanistan, Sunnis can befriend Shiites now and fight against them later. Shared identity attributes, much like ancient hatreds or historical friendships, are constants that fail to capture the variable nature of civil war alliances. Rather, such processes obtain a life of their own as the conflict unravels. And while the reasons that may have prompted the onset of conflict could remain important, they may just as easily get reshaped and recast, with their saliency ebbing and flowing throughout the civil war's trajectory. Depending on the victories and losses on the war's multiple fronts, local cleavages may also rise in prominence at one stage in the conflict and get trumped by other power imperatives at another. And it is these changes in the relative power distribution among warring parties that will determine the actors' decisions on whether to stay with their existing allies or to change sides. Policy makers who want to follow civil war alliance choices therefore need to monitor closely the developments among the warring actors in the civil war's theater of operations. Changes in the distribution of relative power are not just good predictors of alliance shifts; they also indicate which of the warring actors may be susceptible to fractionalization. Indeed, the number and type of warring actors in civil wars should not be considered fixed, but rather liable to change depending on each actor's wartime performance. More specifically, if a warring party is faced with survival-threatening losses, or losses that are asymmetrically borne among its constituents, that group is a candidate for fractionalization. Tribal and geographic in-group divisions, as well as preexisting leadership disputes, can serve as good indicators of the lines along which group fractionalization is likely to happen. These divisions predate the conflict and tend to be manifested at the level of local elites. Awareness of the geographic and tribal subdivisions of the warring groups, as well as the idiosyncrasies of the groups' local leaders, can enhance policy makers' understanding of how groups will fractionalize and what could be done to avert fragmentation. Wartime rhetoric, though inflammatory, is only marginally informative on alliance and fractionalization choices, as discussed at length throughout the book. In practical terms, and in the context of the current Afghan and Iraqi civil wars, this suggests that the present pro- and anti-Taliban coalitions in Afghanistan or the pro- and anti-Baghdad coalitions in Iraq are not capable of being sustained by existing narratives of cooperation—and could easily collapse based on the relative power dictates of the conflict. Through the discussion of civil war alliance formation and group fractionalization, this work also touches on issues of external intervention. I have suggested that in the absence of a warring actor that can win the war on its own, the vicious cycle of alliance shifts and fractionalization is likely to go on until the intervention of a powerful and determined external arbiter that can enforce peace. This book is by no means a work on external intervention or civil war termination—subjects that span rich literatures in their own right—but it does put forth the claim that for a civil war deadlock to come to an end, it may often require a credible external intervener willing to commit massive resources. This should not be interpreted as a case for imperialism or encouragement of third-party actors to meddle in the internal affairs of sovereign states. I simply recognize that external interference is almost ubiquitous in civil wars, and that the resultant deadlocks and quagmires are unlikely to come to an end without the involvement of a credible external guarantor. The present-day context of Bosnia and Afghanistan further confirms the need for committed and sustained external assistance after the guns are silenced. In Bosnia, which received the highest amount of humanitarian aid in the world in the six years following the cessation of conflict, lasting peace has been largely effected. Conversely, in the Afghan conflict, hostilities rose as the United States diverted resources and aid to Iraq. These examples suggest that intervention in terms of developmental aid needs to be lasting and committed for years after the cessation of hostilities. And that may be a more viable policy prescription in Europe, where regional institutions such as the EU can continue to work as external credible guarantors, than it is in Central Asia, the Middle East, or Africa, where there is a regional institutional void.